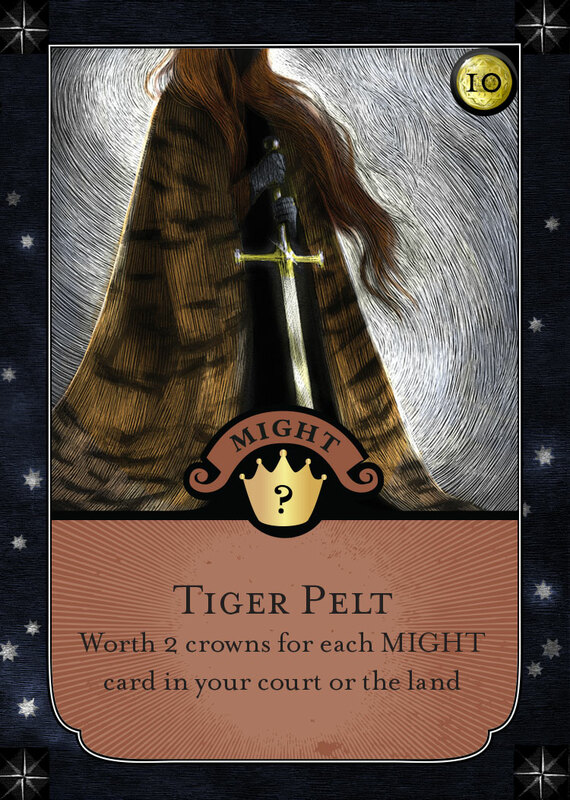 During my Toy Fair report of the Tiltfactor booth I mentioned I had a prototype of Monarch waiting to be played. This past weekend I finally had a chance to sit down and play it with my oldest son. The game is currently on Kickstarter with 12 days to go, and at the time of writing is at %68 of its goal. 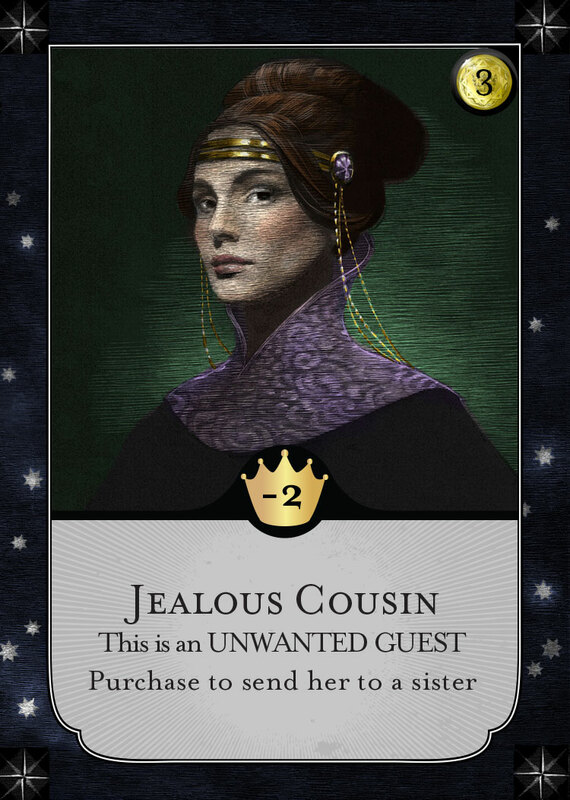 In Monarch you’re playing as one of several sister vying for the crown of the realm. To do this you must create the most fantastic royal court in the land. You do this by harvesting food from the surround land and taxing the local villages. 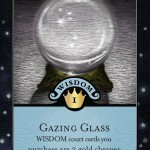 Using food and gold as currency you then buy cards that add crowns to your court, and also special powers. 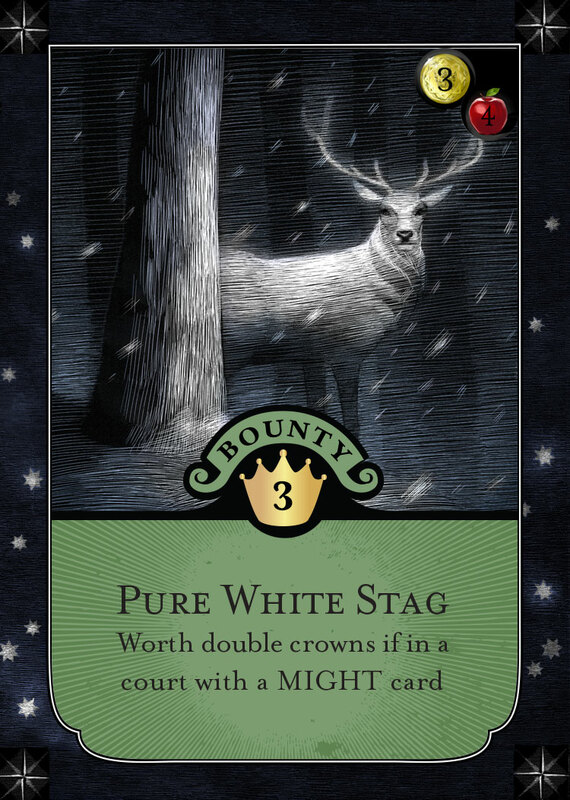 If you’ve got the most crowns by the time one player has 7 cards in their court, you win. 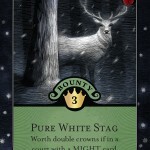 During play you may also choose a banner to fly: Wisdom, Bounty, Culture, Might, or Balance. You do this by dedicating your court to a certain type of rule. You may only fly one banner, yet each has a powerful and unique reward for pledging yourself to it. The game takes no time to setup and learn. My son and I had everything ready to go with a full understanding of the rules in less than 10 minutes. 20 minutes later I emerged victorious as queen of the land. 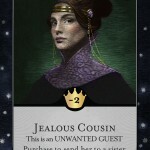 There was a good amount of back and forth, and a good amount of cursing Moon cards that forced us to cooperate to earn a reward, or sometimes outright foiled both of our plans. 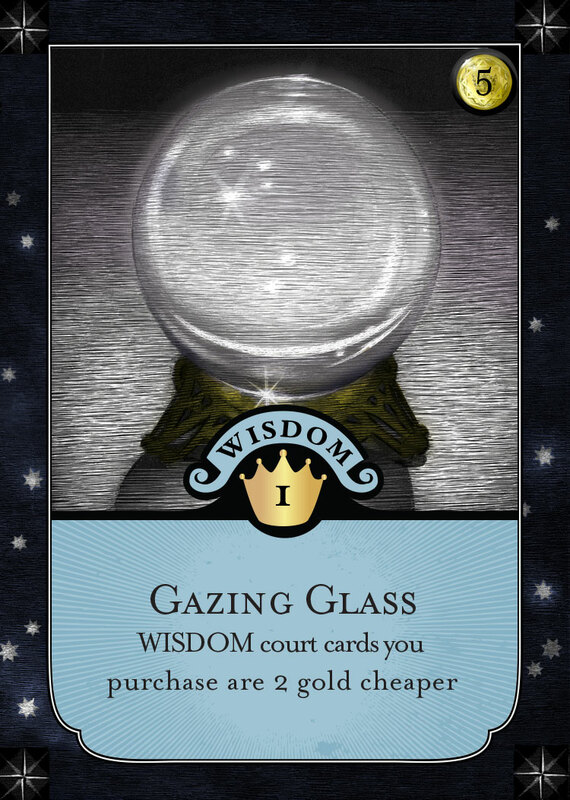 If you’d like to get a feel for how the game works, you can snag the rules here. I can’t comment on the components, since our copy is an early prototype without any of the final art or pieces. I did get a good look at the final art at Toy Fair, and was also sent some final cart art to share. Overall I can say I’m a big fan of Monarch, and I look forward to the game being fully realized. 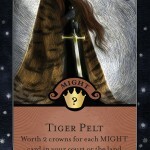 A prototype copy of Monarch was sent to preview from Titlfactor.